While explaining Control Flow task I thought of having Data Flow Task too in parallel. As Data Flow Task in one of the component in Control flow we can include and start this series in Data Flow Task itself !! We will surely have separate introductory post on Data Flow Task itself . 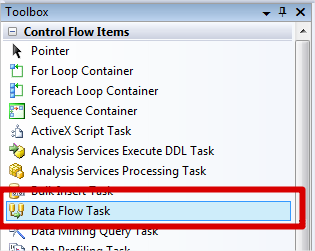 So lets get start with Data Flow task ..
Why Data Flow Task is Use ? How Data Flow Task is look like ? How to use Data Flow Task ? Demonstration of using Data flow Task ? Various Properties For Data Flow Task ? 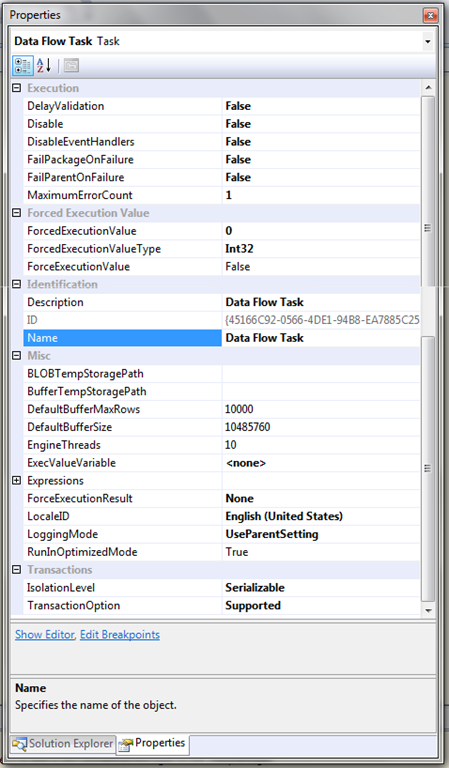 The data flow task in SSIS (SQL Server Integration Services) sends data in series of buffers. , two Data Flow properties. They have default values of 10,000 and 10,485,760 (10 MB), respectively. That means, one buffer will contain either 10,000 rows or 10 MB of data, whichever is less. You can adjust these two properties based on your scenario. Setting them to a higher value can boost performance, but only as long as all buffers fit in memory. The Data Flow task encapsulates the data flow engine that moves data between sources and destinations, and lets the user transform, clean, and modify data as it is moved. 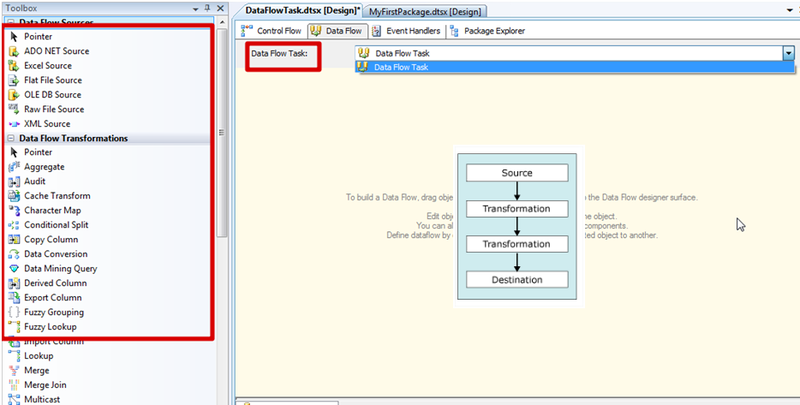 Addition of a Data Flow task to a package control flow makes it possible for the package to extract, transform, and load data. A data flow consists of at least one data flow component, but it is typically a set of connected data flow components: sources that extract data; transformations that modify, route, or summarize data; and destinations that load data. Components are connected in the data flow by paths. Each path specifies the two components that are the start and the end of the path. For more information, see Data Flow Elements. At run time, the Data Flow task builds an execution plan from the data flow, and the data flow engine executes the plan. We can create a Data Flow task that has no data flow, but the task executes only if it includes at least one data flow. Previous Post MSBI # 35 – MDS # 3 – Master Data Service Stakeholders, Business & Technical Perspective, Implementing Approach and What’s new !